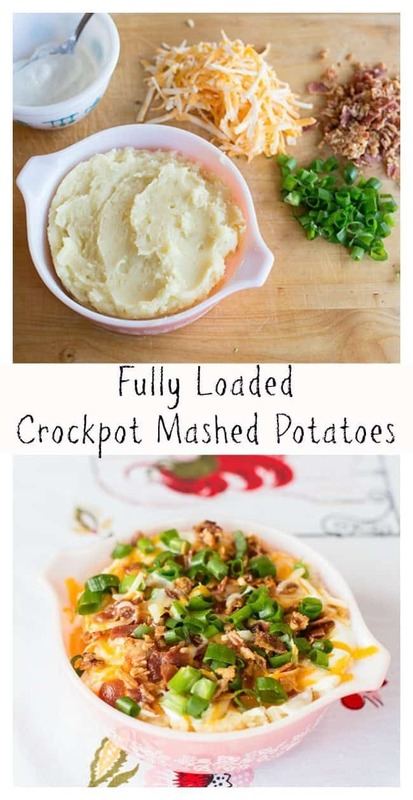 Do you know the wonder of making crock pot mashed potatoes yet? Well, my darlings, I am here to make sure that you know the glory that is crock pot mashed potatoes. 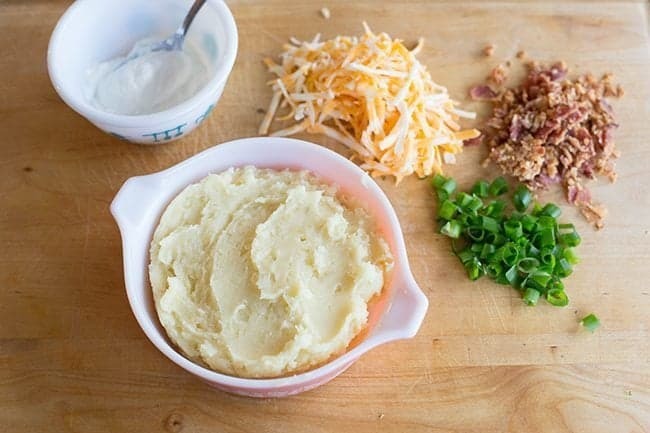 When it comes down to an Easter or Christmas dinner, or hey, even a Sunday feast, this is the only way that mashed potatoes are ever going to be made again in my house. I have been making them this way for a while now, but let’s face it, who ever called me a good blogger that’s timely and on top of things? – the last thing ready and you have lumps in your potatoes because you didn’t cook them enough. And if you are me, you are ALREADY HOT from running around making the meal. That steaming pot of mashed potatoes is making you mad, making your mascara run, fogging up the house windows and is totally that aforementioned pain-in-the-rump. Just me? It can’t be just me. The mashed potatoes of a meal drive me batty, I am always panicking about them. You cook these babies all day long in your crock pot and then they are ready to serve when you are. I might have giggled over that last part. The potatoes stay hot, they will always be cooked and there’s no lumps. 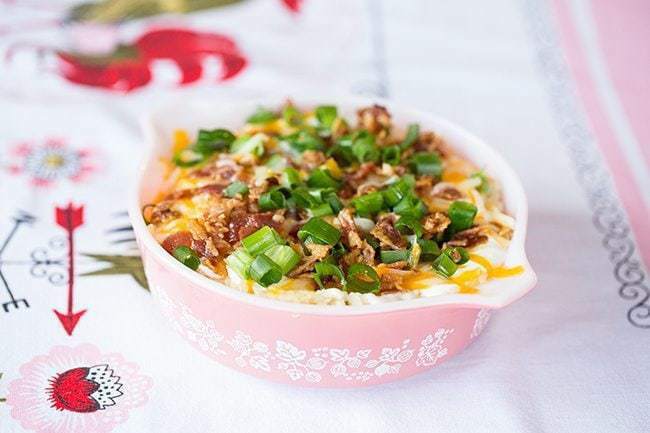 I like to make my potatoes, then serve them in a gorgeous casserole for dinner right at the end when I am ready, topped in layers with all the toppings so that everyone takes a scoop and gets ALL the goodies at once on their plate. Can you even believe how easy these are? A note, you don’t want to put any milk IN the crock pot before the potatoes cook all day, as it will turn the potatoes brown. Not that I don’t love the browned bits of milk, (yum yum!) but let’s face it, picky eaters will NOT. Make them plain to start, then add in the milk at the end! Never mess around with boiling your holiday mashed potatoes ever again! 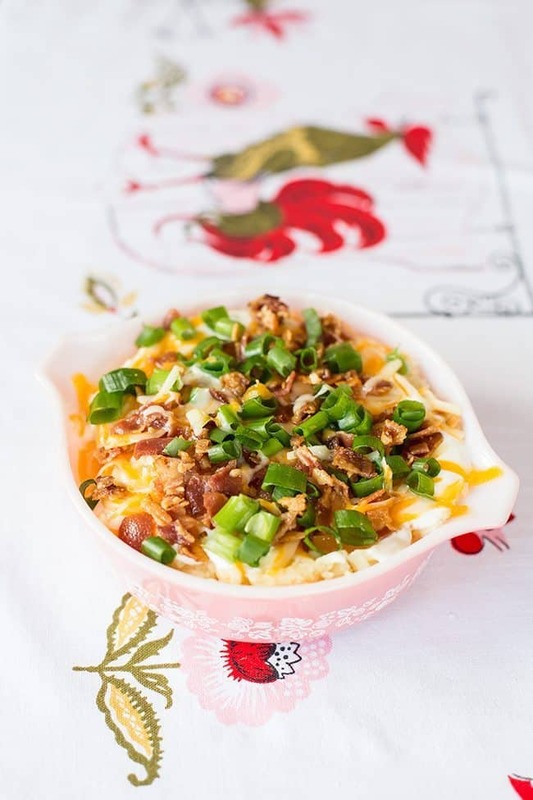 They are fabulous in the crock pot and easy on the cook! Grease the inside of the crockpot with the butter. Place the prepared potatoes inside of the crockpot, then pour the vegetable broth over them. Cook on low all day, or on high for 3-4 hours. When the potatoes are ready and YOU are ready, mash them with a potato masher. Add in enough milk to make them creamy, then place into your casserole of choice. Top with the toppings in your preferred order. Place on table and let everyone spoon out their portions. omg these were so good !!! thank u!!! These look perfect for thanksgiving. What happens if double it? Just cook longer I suppose. Also…it would be ok to mix in the sour cream at the end insead of adding it to the top, right? 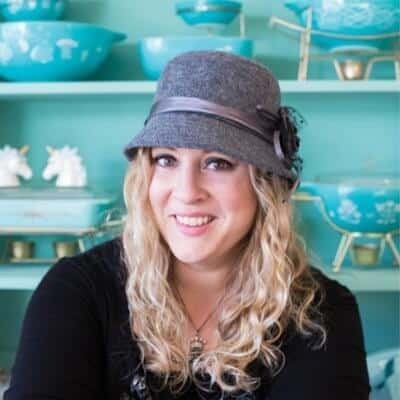 Thanks for so many great recipes! Karen322 If it fits, double it for sure and cook it longer and yes, you can add in the sour cream at the end! My daughter doesn’t like it so I take out plain for her and then dish up the rest! Thanks! Ever use a hand mixer to “mash”? Karen322 Yes, then once time I over whipped them and they were RUBBER LOL!! I stay away from mixers, but it can be done! Yes, just mix in the sour cream, that’s fine! There are so many ways to do potatoes- but in my opinion, loading ’em up is the best way! These look amazing! Awesome!! Thank you for letting me know, I love feedback! Especially when you loved it \U0001f609. It’s one of my new favorites, that chicken! These look so good! Can’t wait to try them. Your life will be CHANGED! I swear!! So easy and adaptable!